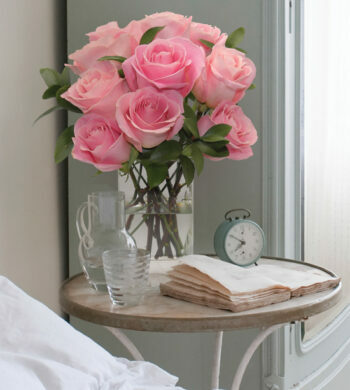 Home|The Flower Lovers Blog|A Special Holiday Offer on our Popular Gift Programs! Our Year of gift programs are very popular gifts to give during the Holiday season. 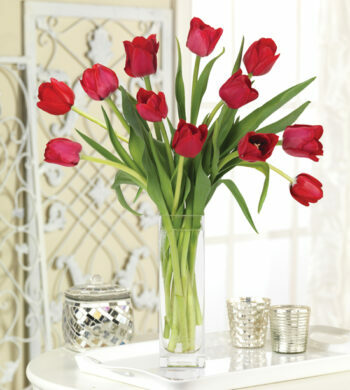 Think about it – it’s a gift that arrives every month so your special recipient is reminded of your thoughtfulness all year long. This year we decided to give something back to the sender when a 3, 6 or 12-month gift program is purchased. 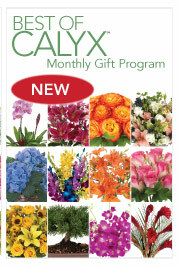 You can now receive a Calyx coupon valued at $25 for every month of the gift program you choose to send. 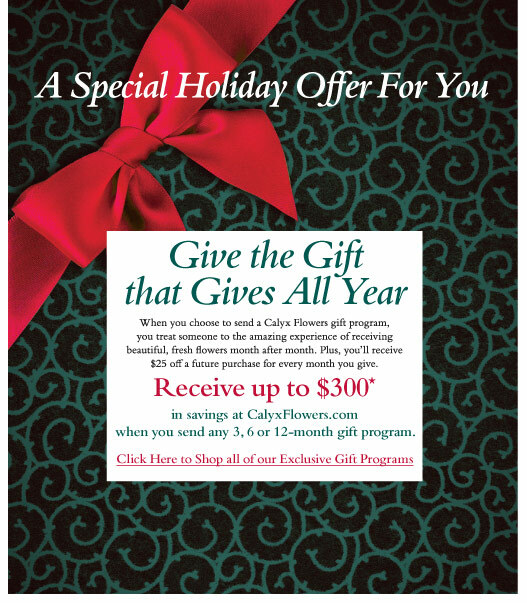 The coupon is good towards any future purchase at CalyxFlowers.com in the month that it is sent. 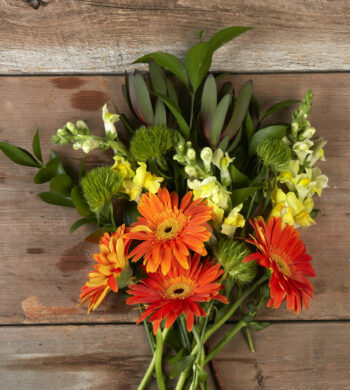 It’s a fabulous way to save when you need to send flowers for a birthday in January, a gift to say “I love you” in February or to send a get well bouquet in March. 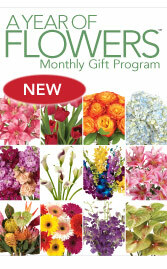 Plus we’ve redesigned the Year of Flowers, Year of Roses, Best of Calyx and Year of Designer Gift Programs. The new monthly selections are brilliant. 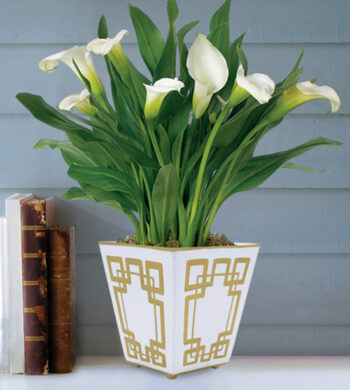 And we’ve introduced the Year of Preserved Designs which delivers a different, luxuriant wreath, centerpiece, basket or heart swing the first week of each month. Check out the offer today!